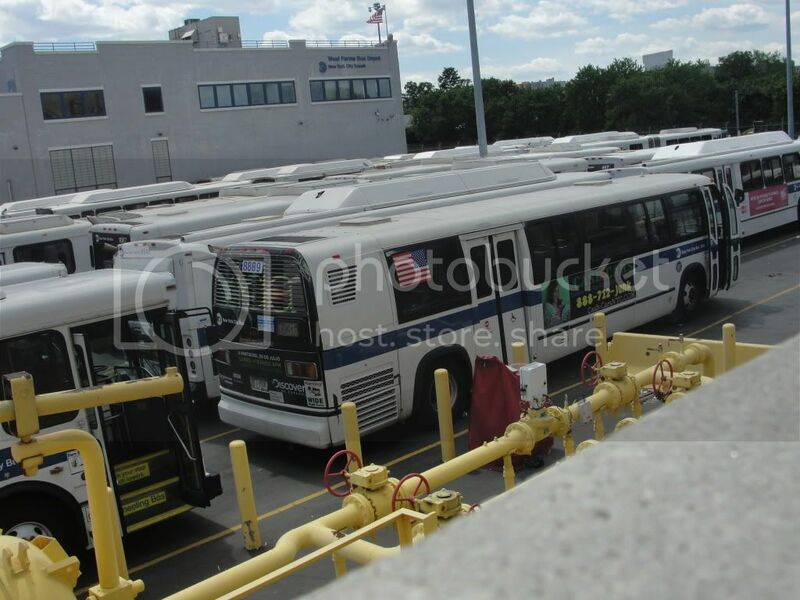 MTA Bus Operations: Fleet & Depots or the BUS - Random Thoughts Thread. Since there is a thread about major swaps/transfers Im putting up a regular bus transfer thread. So far 8931 ECH storage to U.P. 8954, 8955, & 8956 GA to FP. 9925 & 9928 CP to WF. If you have any other sightings/transfers please post them here. Thanks. That's not possible. And did you ever concider that some are there as spares in case other buses on their routes craps out and needs a replacement? You need some buses in the depot around. 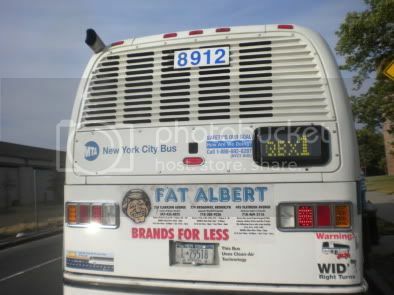 Yea & we could get our old buses back ,we got 8888-8890 back and they came from wf . and we have alot of buses and there are onlly 2-4 buses put on the b74 every week and they start 5:15 am - 11 20 pm , thats the last run & b36 about 10-15 buses put , b6 i dont know because i dont take that route but im guessing 15 , and b3 about 13 , and we have alot of buses just sitting around . UP needs all those buses. Don't forget about the B36 and 74 (mentioned in the above post). LGA BETTER not send a damn thing to UP. LGA is badly short as it is now. They CANNOT be any shorter. UP I would hope would send something to LGA in return. Nope lol , maybe they might send a 9300 but i doubt it now , we were going up to the 8000s-8900s now so i dont know , i heard 9101-9109 are going to be dumped soon , 9109 & 9309 are looking a bit bad now but i saw 9309 sitting inside today so i guess they are going to fix it and i will suggest to them that they repaint 9309 and 9305 too , lga has 252 buses or less than that ? 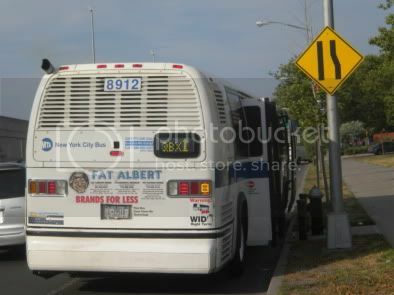 & they have alot of routes , bp should give their buses to lga theyve only got 5 routes left so thats notthing . You guys do not have 8889, 8889 was on the Bx36 this morning, I thought you worked at UP or something. 2: if he wants a profile of his own then have him sign up for it. Does anybody kno the update of BP and wat will happen to the QBx1 RTS since Fall 2010, its gone.?? The QBx1's RTS buses will be put on the Bx23 or the Q50 (the two new routes that will be formed after the QBx1's end) unless they get scrapped. True, BP doesnt have that many routes, but the Q111 for example has headways of aproximately 2-5 minutes on the weekdays. So that alone requires a nice amount of buses. Here you go, 8889 WF. Photos taken from a friend of mine with permission. 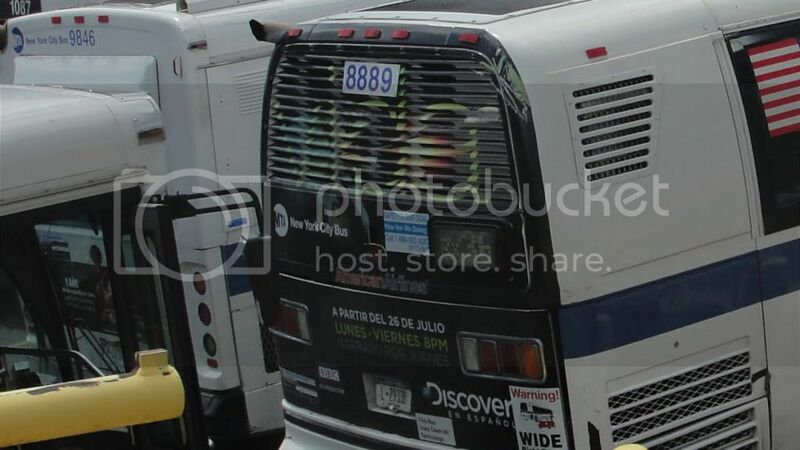 What the hell did they do to the back of 8889 , i applogize , i thought it was in ulmer park because i saw a bus # beginning with an 8 & end with a 9 so it probaly came for a part and then left . Location: Somewhere in this damn city. That is not an exclusive. Sorry about that , i was on my iphone and it did a typo correction , i meant to say this is a ulmer park update . FP now has 8777, 8818, 9205, 9206, & 9251.